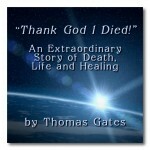 Thomas is interviewed by Joan Newcomb for Contact Talk Radio here. “Soon after being rushed to the hospital for emergency surgery, I found myself in a losing battle for my life. Within moments of hearing the doctors declare to my father, ‘We’re sorry, we’ve done all we can. We’re not sure he’s going to make it,’ I began an amazing journey through and beyond the ‘Light’ to the underlying, eternal source of my own existence and that of all creation. Thomas is committed to enlivening the experience of unbounded consciousness in others and accelerating their natural physical, emotional, and spiritual healing. 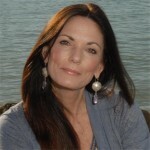 He shares the unique healing gifts and practical insights that came from his remarkable and extensive near-death journey through his presentations, workshops, training programs, and consultations. Click here to learn more about how the Healing Spectrums for Health and Wholeness Programs and Workshops can help you to enjoy greater health, happiness, and wholeness in life.